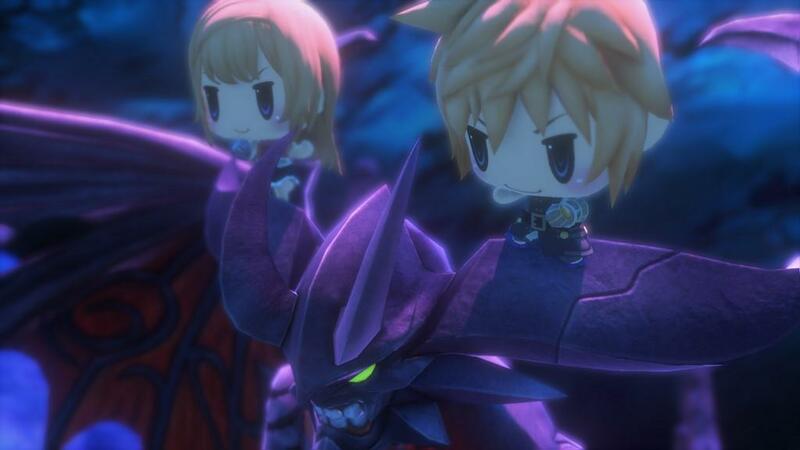 World of Final Fantasy harkens back to an era that Square Enix seems loathe to remember. 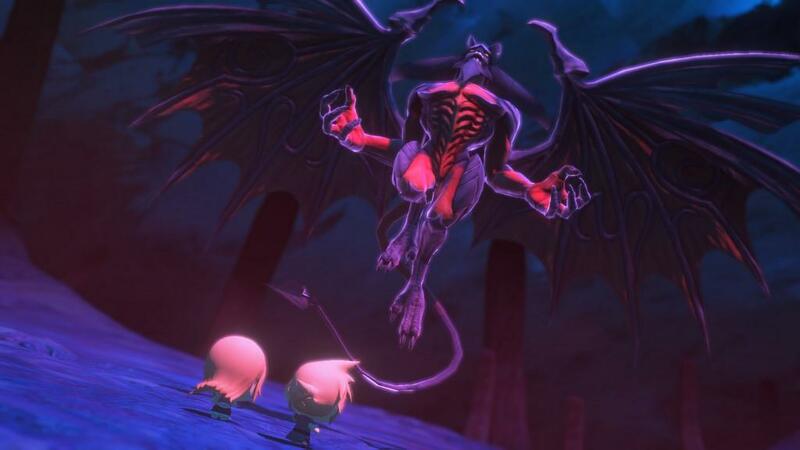 World of Final Fantasy is one of those classical Final Fantasy adventures, it’s got the Active Time Battle system, save points peppered throughout the trip, and turn based combat that feels right at home on the Vita (and by extension the PS4). But it also comes with a touch of the new school of Kingdom Hearts design thrown in to make things needlessly complex, and then there’s the creature collecting? 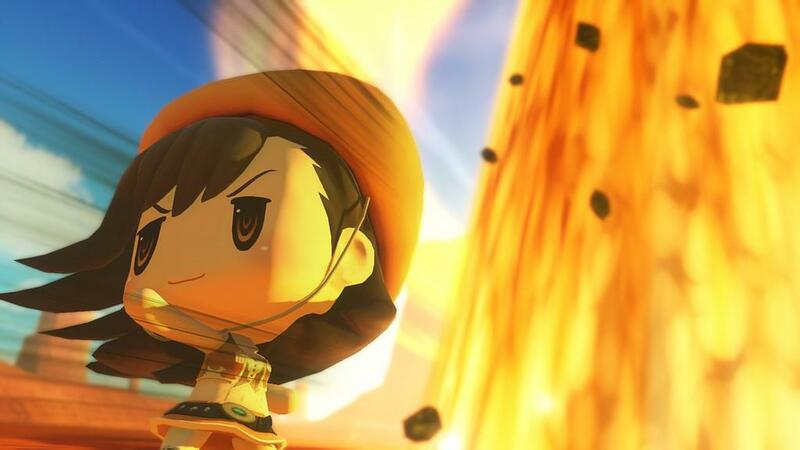 Don’t look now but I think Square Enix is trying to ape Pokemon in the most Final Fantasy way possible. The story starts in a very Kingdom Hearts way, I had to watch a side by side comparison to make sure I wasn’t playing the wrong game during the opening movie. You control Lann and Reynn, a brother and sister team who wake up with no memories and their home deserted. 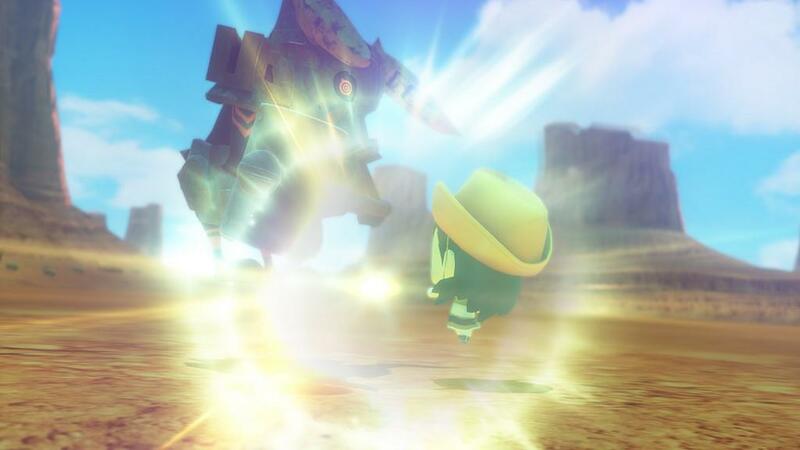 A woman named Enna Kros informs them that they were once powerful Mirage Keepers in the world of Grymoire. Mirage Keepers were people who controlled monsters, and their mother was a prominent Mirage Keeper, and so their quest begins to regain their memories and the powers that they have lost. With a mirage named Tama (that has an annoying verbal the-tick), they set off across worlds that look familiar and yet different, for they all are an homage to past Final Fantasy settings. You’ve got Yuna sending spirits to the Farplane, Tifa’s guiding people through the mountainous crags of Nibelheim, the Warrior of Light is keeping the town of Cornelia safe, and all the while the Bahamutian Army moves to enslave the world. There’re plenty of mysteries to solve, as the game has plenty of dangling plot threads for you to tug at, like the Girl Who Forgot Her Name, and the side-stories for each of the Final Fantasy characters you encounter. 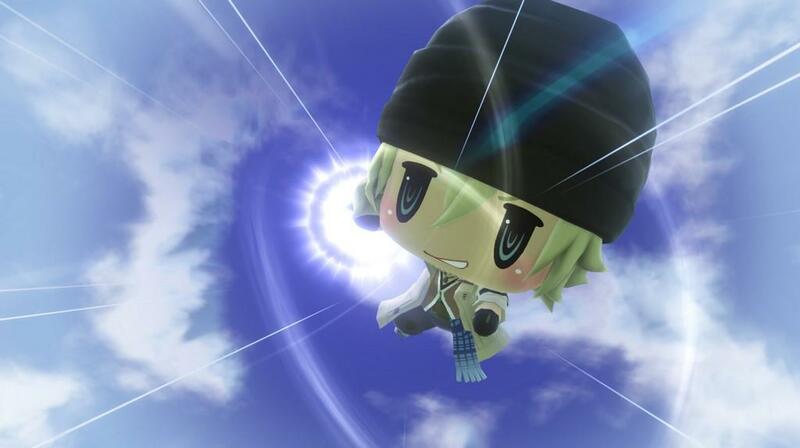 World of Final Fantasy plays like your traditional turn-based RPG but with a major twist, called Stacking. Reynn and Lann can control Mirages that they capture, and to effectively use them in battle they must stack Mirages on their head. 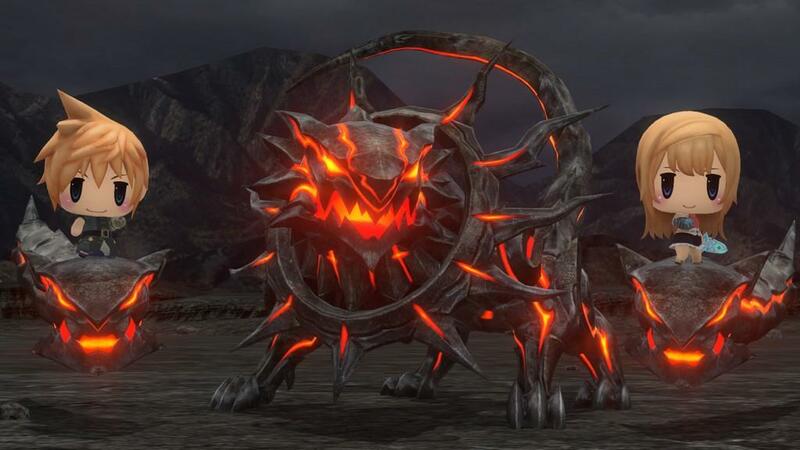 Each creature has a size stat, small, medium, and large. 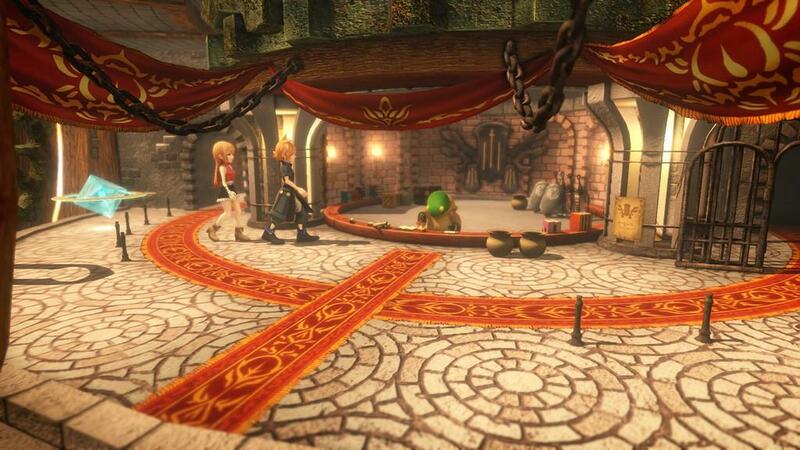 Each ‘stack’ will contain Lann and Reynn, and two other monsters. 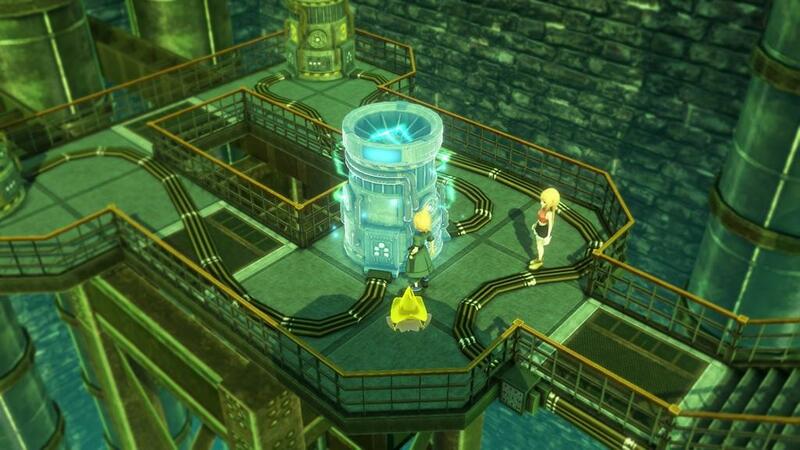 Reynn and Lann can switch between their ‘Jiant’ and ‘Lilikin’ forms in order to change their places in the stack. When you’re stacked you’re given one action per turn, and any spells your characters share will be powered up. Have two characters with a Fire spell? Then you’ll get access to Fira. All three characters with Fire will unlock Firaga, and the same goes for curative magics as well. Your stack will also share a cumulative pool of hit points, giving you a higher total than if you were unstacked. Your stack isn’t infallible though, take too many hits from enemy Mirages or their skills and your stack can be toppled, knocking you down to individual party members, which makes you weaker as a whole. 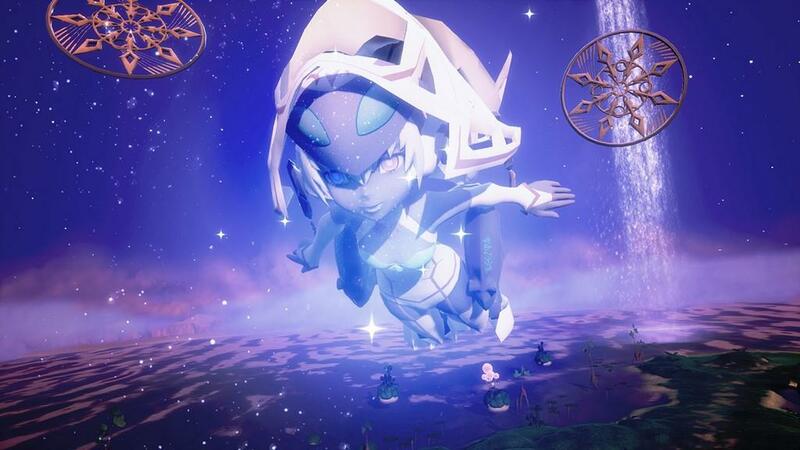 As Mirages gain levels, they’ll gain skill points that can be placed on an ability tree that in turn allows them to grow into more powerful forms. This is where the Pokemon comparisons can’t be ignored, but at least there’s no cap on the number of skills a Mirage can know. But growth feels incredibly slow, in some cases it can be as many as five levels until a skill becomes available, meanwhile you’re finding stronger Mirages naturally. I had a very hard time figuring out what an optimal team meant for me. Thankfully you can give Reynn and Lann an item called a Mirajewel, which in turn teaches them a specific skill and you can swap them as necessary. There are also skill seeds that can teach a Mirage a specific skill, provided they have an open spot on their skill tree. The Active Time Battle combat system is something I kind of miss. 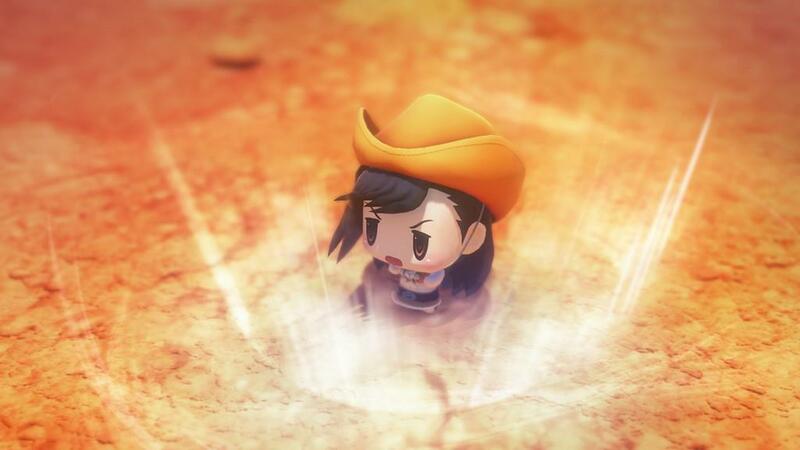 I’m not really sure how I feel about the upcoming Final Fantasy XV’s combat, even after hours of the demo, but I am thrilled that World of Final Fantasy feels so throwback. The only problem? It’s too slow. Even with the battle speed setting maxed out, you have to hold the Vita’s R button to make the combat feel like it’s at a tolerable speed. If you’re going to grind through enemies and you can knock them out with normal attacks, there’s an Auto-Battle function which is greatly appreciated. When you encounter new Mirage creatures, you’ll receive a prism that will allow you to capture them, though in order to capture them you need to create a ‘Prismtunity,’ or fulfill conditions that allow you to catch the Mirage. This means you can be grinding some areas for quite a while to either find a rare spawn, or because you’re having trouble triggering a ‘Prismtunity.’ I managed to grind an area for so long that future battles were easy going for a fairly significant portion of the adventure. While I struggled in the beginning, I was thankful that the game is pretty forgiving, since death most of the time means warping back to a home point, though boss fights are less forgiving, and you’ll have to load a save. I’m actually upset that this game still employs classic save points. During one of my grind sessions the game crashed in the middle of battle, and I lost a few hours worth of progress (because I was trying to get a rare Mirage to spawn). Why is there at least no quick-save option? If you have a PS4, opt to get that version exclusively for the visuals. 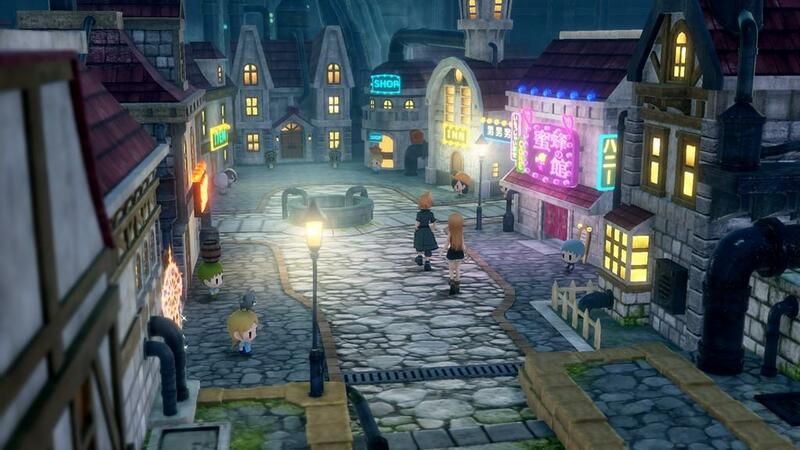 This game is gorgeous on the PS4, on the Vita? There’s definitely some downgrades. You’ve got a slightly lower frame-rate, lower quality textures, and a whole lot less visual filters and effects. The game is cute as all get out though, and the art direction helped me ‘live with’ the Vita visuals. Seriously this game is not in any way, shape, or form bad looking, in fact it’s quite good. 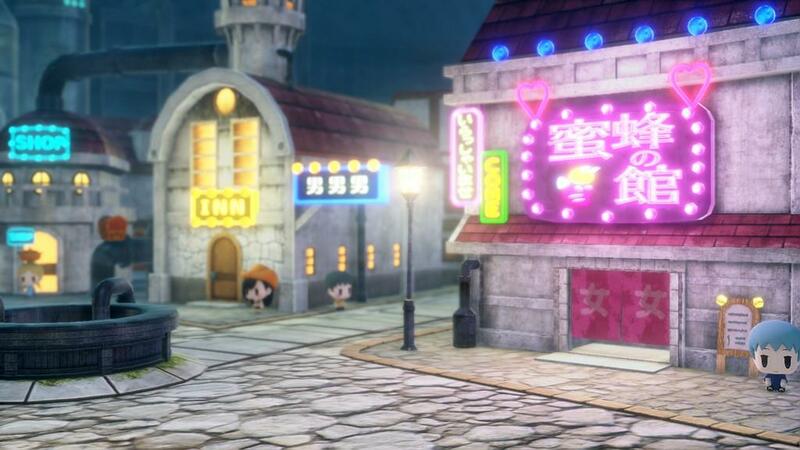 The Lilikin character models are adorable, and seeing the huge swath of Final Fantasy characters get this treatment is quite cute. The English voice acting is pretty good, and I’m happy that Square Enix kept a lot of the previous voice actors that have participated over the years. The Masashi Hamauzu soundtrack is peppy, with plenty of electronic influences and it seems like it’s very Yoko Shimamura inspired. 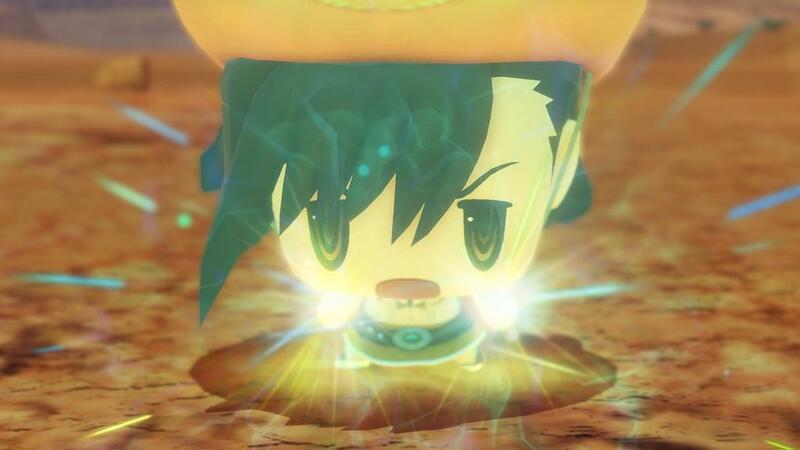 World of Final Fantasy is a Final Fantasy game in what seems like Kingdom Hearts clothing. It’s got the gameplay elements that fans of older games are going to enjoy, but also has some antiquated features that should be abolished, like the static save point system. Collecting Mirages can be quite fun and the ‘Prismtunity’ system allows for some variety in battle. The actual growth system for Mirages is slow, but at the same time satisfying when you manage to get the right combination of Mirages with skills that all stack to give you some really powerful attacks. But the caveat to all of this is that it’s incredibly slow, even with the short chapter structure in the story, everything feels like it’s taking to get where it wants to go. 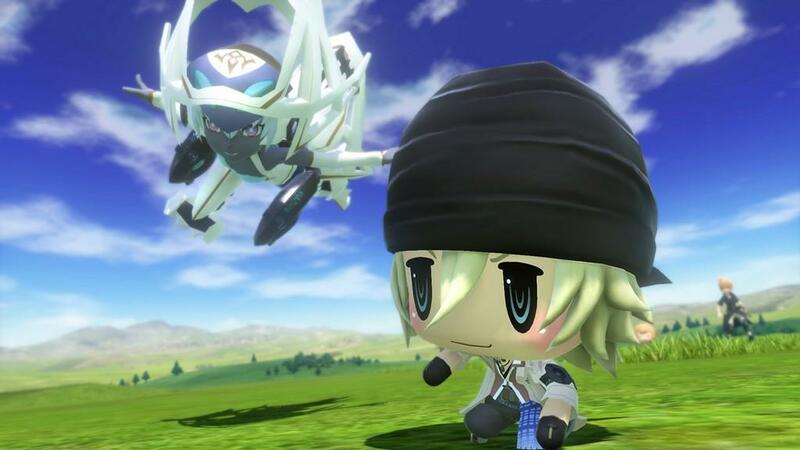 If you’ve got the patience for something old-school then World of Final Fantasy might just be for you.